When an abnormality is discovered either by the patient, dentist or other healthcare provider, a referral is often made to an oral and maxillofacial surgeon. 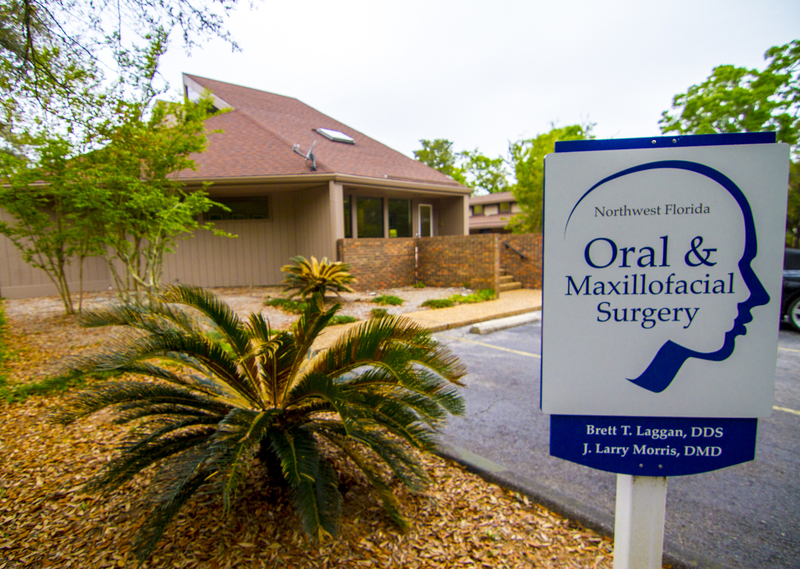 An oral and maxillofacial surgeon is a professional that has completed extensive training in oral pathology and possesses the ability to recognize, diagnose and treat conditions involving the mouth and related areas. The oral and maxillofacial surgeon will need to obtain a complete medical history and conduct a thorough physical examination. In addition, he may request that additional imaging (x-rays, CT scan or MRI) be taken. Imaging is useful in the diagnosis of problems related to the teeth and jaw bones. It is possible that your surgeon will perfrom a biopsy to obtain a more definitive diagnosis. Biopsy is the only way to be absolutely certain of a final diagnosis. A biopsy is a surgical procedure that involves the removal of a piece of suspicious tissue; usually part of the lining tissue of the mouth or the underlying bone. Most biopsies are performed in the office setting with local anesthesia or sedation. The specimen is then sent to a pathologist where the tissue is handled by a specialist in oral and maxillofacial pathology. The pathologist will process the tissue and examine it under a microscope. This takes approximately ten days. The pathologist discussed the case with and then sends a report to your surgeon. Small lesions may be removed in their entirety during the biopsy while larger lesions may have only a small portion removed, which may necessitate additional surgery. The patient returns for follow-up, sutures are removed and the results are reviewed and future plans are developed. Look at and feel the inside of the lips and the front of the gums around the teeth, the roof of your mouth, the cheeks, and the back gums. Stick your tongue out and look at all of its surfaces. Feel for lumps or enlarged lymph nodes or glands on both sides of the neck and under the lower jaw. Unlike some other less conspicuous locations in the body, we benefit significantly from the fact that the mouth is so easily accessible. This allows abnormalities to be detected in their early stage of development. To add to this good fortune, the majority of the disease processes in this region are benign, non-cancerous and are remedied by either medication or simple surgical procedures. Overall, cancer involving the head and neck region represents only about 5% of all malignancies reported each year. According to the American Cancer Society, the he most common risk factor is the chronic use of tobacco and alcohol. Other factors include poor oral hygiene, irritation caused by ill fitting dentures and rough surfaces on teeth, poor nutrition or any combination of the above. Studies have shown that the death rate from oral cancer is about four times greater for cigarette smokers than that for nonsmokers. Those at an especially high risk of contracting oral cancer are males over the age of forty who participate in a combination of heavy drinking and smoking or use smokeless tobacco. The early detection and prompt treatment of any pathology may be the key to a complete recovery.